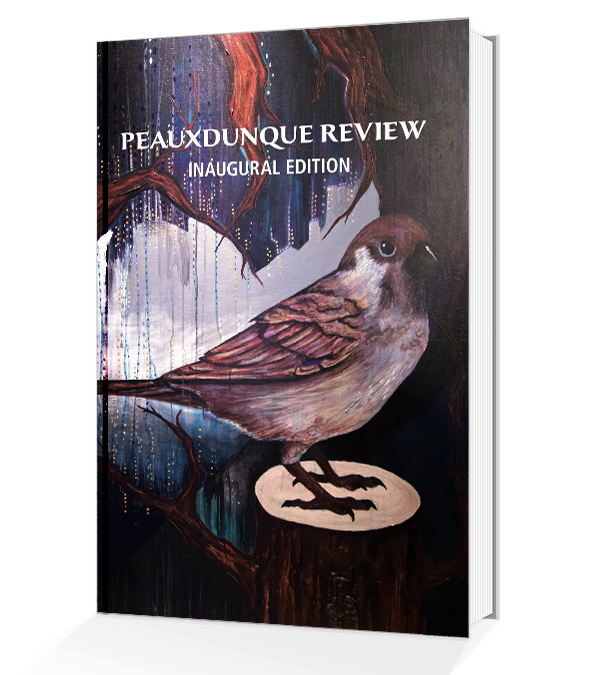 Our very first collection of stories, proudly provided in a hardbound literary journal. Bonus Special Shindig: Open arms and open bar at the Peauxdunque Review Sazerac Sippery at the Words and Music Conference in New Orleans. Or if you can’t make it there, Peauxdunque editors will buy you a drink wherever our paths may cross.